My name is Zach Wells and I am a senior at the Out-of-Door Academy. I have been involved with the circus arts for three years now. During my senior year, I helped start the ODA Circus Club with fellow student Mia Hamill and Mr. Michael Salmon (who is also on the Board of The Circus Arts Conservatory). These two individuals are very passionate about circus and its history. Within the circus club, we have done it all, from having speakers come in and tell their life stories about their involvement in circus over the years, to flying high above the trapeze with Tito Gaona. My journey with the circus started my sophomore year when I needed volunteer hours for my school. A friend of mine who was an upperclassman recommended that I volunteer with the circus to get the last few hours I needed. I only needed to do two shows to get the hours I needed. However, I found myself working with the team under the Big Top for six shows! In my junior year, I found myself back at the Big Top, this time signing up for more shows and spending more time getting to know the performers. I had found something I was passionate about and loved being a part of! This year, I was tasked with leading the ODA Volunteer Team under the Big Top along with fellow senior Brett Szalbirak. It was our job to encourage our friends and other students to come out and volunteer under the tent. 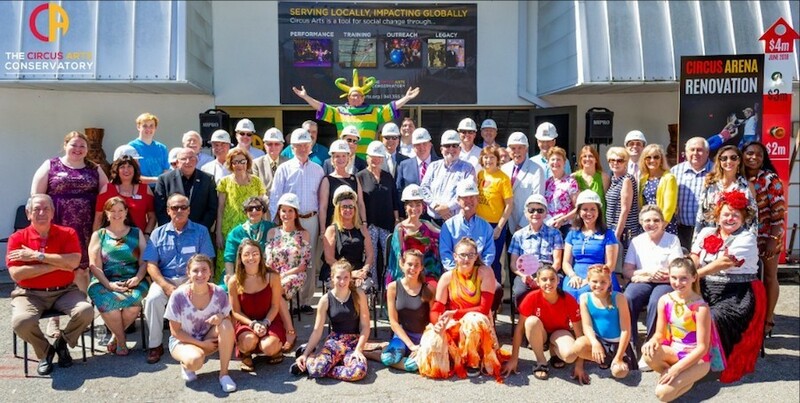 Since I had spent the last three years being involved with Circus Sarasota and meeting so many amazing people who have amazing stories, I figured The Circus Arts Conservatory was the perfect place to do my senior internship. I wanted to learn what went on behind-the-scenes and what happened when the red and white tent came down for the season. Volunteering with The CAC for the last three years has created countless memories that I will never forget, from working the Big Top to flying on the trapeze. I have met, talked to,and become friends with people that have infinite knowledge about all things circus and have created friendships that I will carry with me throughout college and life. Zach will be studying Psychology and Education in the fall at Florida Gulf Coast University.